I try to keep the amount of sweets and carbs I eat to a minimum. But, sometimes things get out of control and my "minimum" just goes flying out the door. That's what's been happening lately with anything Rice Krispie based. When I had half a box or so of Rice Krispies left, I wanted to make something different where I wouldn't devour the whole pan. I remembered those "Other Rice Krispie Bars" my mom, or grandmother's would make once in a great while, back in the day. BUT, only make a small pan, that way things won't get out of control! If you are feeding a family, you can definitely double this recipe and make it in a 9x13, or if you just want to indulge yourself, go ahead and do it that way too! These are a great chewy no-bake treat, that will satisfy your chocolate and peanut butter cravings! Butter 9x9 baking pan. Set aside. In medium saucepan, combine sugar, light corn syrup, and peanut butter. Heat over medium high heat, stirring frequently, until boiling. Remove from heat and stir in Rice Krispies until completely mixed. Lightly press into prepared pan. In microwave safe bowl, melt chocolate chips following package instructions. Pour melted chocolate over top bars. Let cool. Cut into bars. 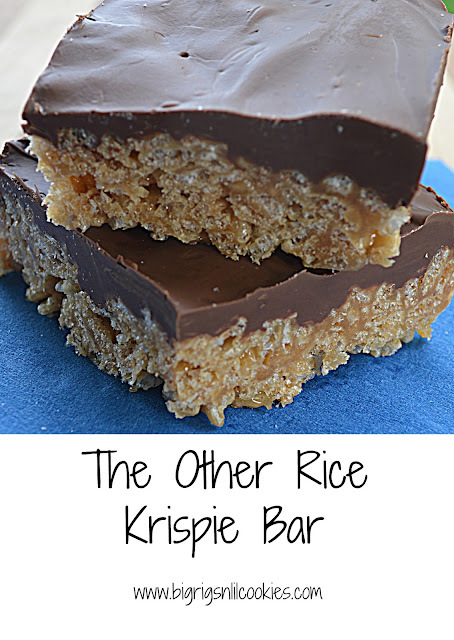 These rice krispie bars surely look very tempting! Sorry but THIS rice Kristie bar blows the others out of the woods. This looks so good, if you sold them, I'd buy them my the dozen! 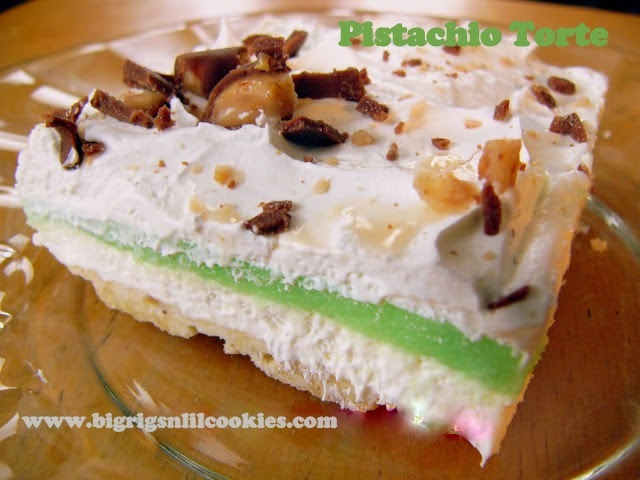 One of my hubby's favorite treats!!! I love these bars. I bought a whole 15" tray of them from our local bakery. I guess I could have just made them myself! Chocolate and peanut butter are the BEST combination, one of my favorites. I love a no-bake treat too. I bet my nieces and nephews would love these bars! They sound sooooo easy too, I can't wait to try them! Oh my...the dream bars. :-)) My family LOVES this bar. You can not go wrong with this one for my crew. we always had the version incorporating butterscotch chips, and that's what sealed the deal for me! love these! Yes please! I love peanut butter (and of course chocolate, but that goes without saying!) These look delicious! Thanks, Linda! When bars are as delicious as these, they are meant to be shared! Agreed, Anne! What better snack is there at midnight than one of these!? Chocolate and peanut butter...always a perfect combination :) Love these rice krispie treats! Have a splendid week. Hugs! You can't get any better combination that chocolate and peanut butter, can you?